Get an exclusive 12-year boiler warranty when expertly installed by your local Which? 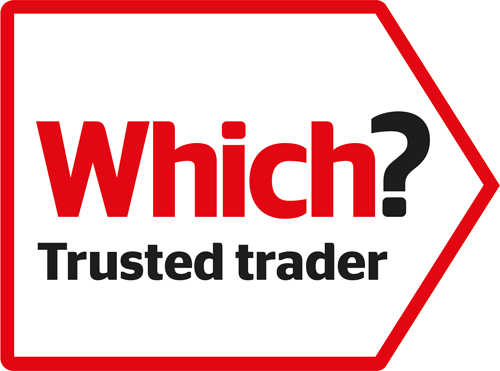 Trusted trader - Boilers Direct. Only Ideal Max Accredited Installers, like ourselves, can provide you with a 12-year warranty. This premium scheme operated by Ideal Boilers is by invitation only and based on years of quality installations. We have been assessed and endorsed by Which? Trusted traders, an endorsement scheme to recognise reputable and trustworthy traders who have successfully passed a rigorous assessment process. We are a Gas Safe registered local experienced company, that promise a fair price and quality workmanship. 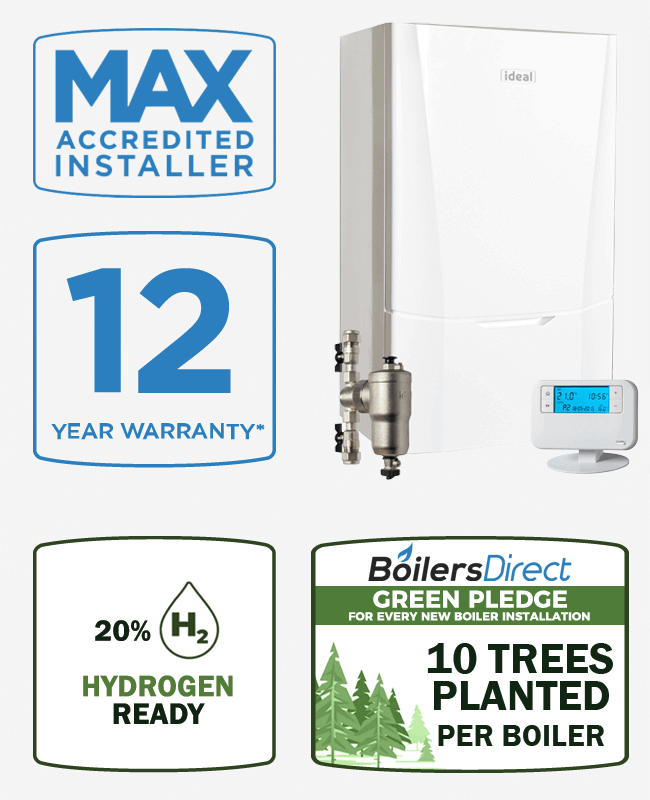 12-year manufacturer's warranty is available on the Ideal Vogue Max boiler range and is subject to Terms and Conditions of the Ideal Warranty. At the end of each 12 month period following installation, the boiler must be serviced by a Gas Safe registered engineer. Should this condition not be met the boiler warranty will lapse. In the case of a Vogue Max to maintain the additional further 2 years warranty the servicing must be carried out by a Max Accredited Engineer. 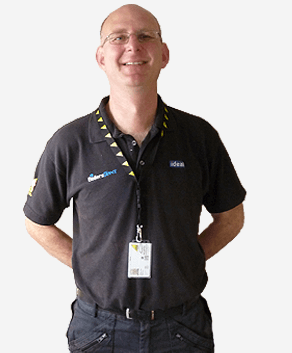 We are experienced Gas Safe registered engineers, specialising in boiler repairs and boiler replacements throughout Scarborough, Filey, Driffield, Bridlington and Whitby. Matthew, Jon and their lovely apprentice fitted a new boiler. I could not have hoped for a more pleasant, professional, knowledgeable, hard working and courteous trio. It was an added bonus that they were able, capable and willing to decentre, when giving explanations, hence leaving the customer able to grasp the details. I recommend them without hesitation and would use their services whenever possible. Thank you gentlemen and, yes, they truly are! Professional and friendly - brilliant job reasonably priced. We had a complete new heating system and boiler replaced in our bungalow by BOILERS DIRECT and cannot praise them highly enough. Matt and Jon are both extremely professional and friendly and did a brilliant job reasonably priced. We would HIGHLY recommend them. Marvellous company - very courteous and polite. An absolutely marvellous company to deal with, both Matt and Jon are very courteous and polite, gave plenty of advice and information on which boiler to choose, following which was fitted very promptly, leaving no mess or cleaning up to do after. Would thoroughly recommend Boilers Direct to anyone. Outstanding service - went above and beyond. Outstanding service nothing was too much trouble and would recommend them to anyone. Went above and beyond what you usually get and can't thank them enough. Enjoy reliable heating and hot water with an energy efficient new boiler, backed by industry leading warranties ranging from 10 to 12-years. A Rated heating and hot water. 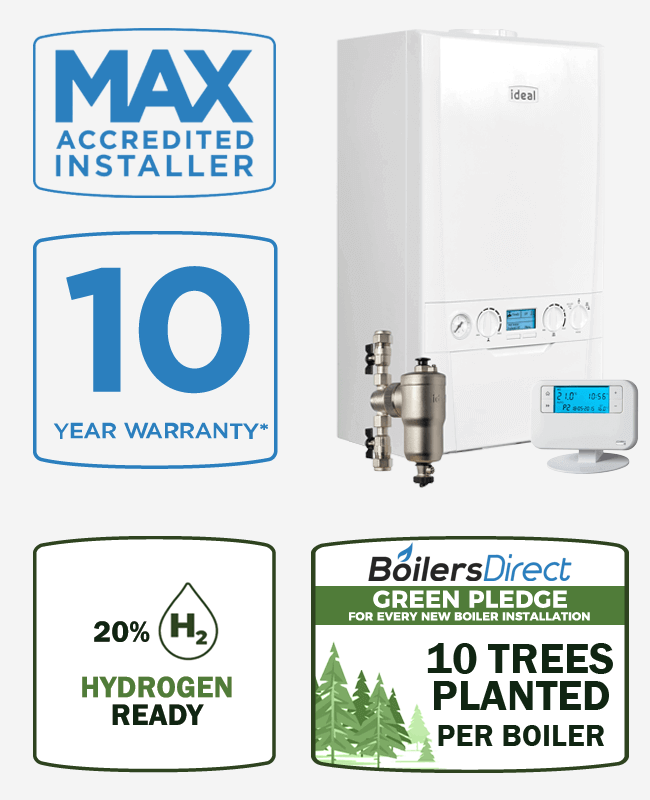 10 and 12-year manufacturer's warranty is available on the Ideal Max boiler range and is subject to Terms and Conditions of the Ideal Warranty. At the end of each 12 month period following installation, the boiler must be serviced by a Gas Safe registered engineer. Should this condition not be met the boiler warranty will lapse. In the case of a Vogue Max to maintain the additional further 2 years warranty the servicing must be carried out by a Max Accredited Engineer. Protect your new boiler with the Ideal System Filter - fitted as standard with every Ideal Max installation from Boilers Direct. Magnetic and dirt separation technology. Collects magnetic & non magnetic debris. Simple to clean keeping your system running efficiently. Highly recommended by both manufacturers and ourselves. Magnetic Sludge Filters make a huge difference to your central heating system and help prolong the life of your boiler. Sludge in central heating systems consists of black iron oxide. Without a filter this suspended sludge will circulate around your boiler and radiators, causing blockages and performance issues. With a Magnetic Sludge Filter positioned on the return leg back to the boiler, your system is protected, as sludge is attracted to the magnet and can be easily removed from the system. 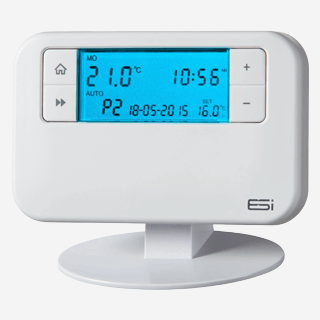 Control your heating with the easy to use ESi Wireless Programmable Room Thermostat - fitted as standard with every Ideal Max Combi installation from Boilers Direct. Large, easy to read LCD with blue back light. Energy saving, optimum start, optimum stop, delayed start and TPI selectable. Boiler Plus compliant (see below). Every installation from Boilers Direct is Boiler Plus compliant. 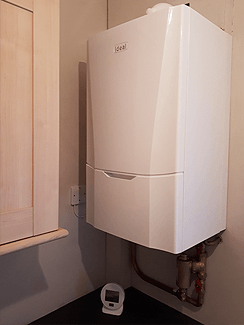 Since April 2018 a new standard called "Boiler Plus" was introduced which means a newly fitted combi boiler must have an additional energy efficient measure fitted. 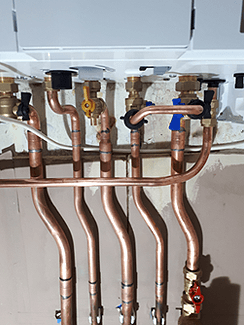 Installers who fail to install boilers in line with these new building regulations will be breaking the law and could be prosecuted by Building Control. 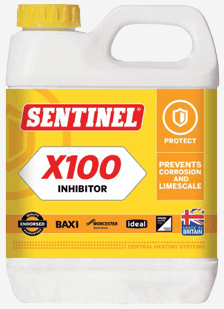 Prolong the life of your new boiler with a full system flush and dosing of premium inhibitor. Protects against limescale and corrosion. Recommended by manufacturers and Energy Saving Trust. 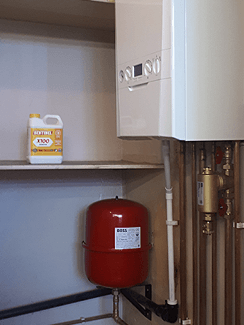 If you opt for an installation from Boilers Direct, you can be confident that we will clean and flush your central heating system, and add premium inhibitor to ensure optimum conditions and longevity for your new boiler. Fully fitted prices start from £1880.00 inc VAT. You can pay on satisfactory completion or spread the cost with interest free credit over 12 months. Credit is subject to status. Pay the full amount on satisfactory completion. Boilers Direct is authorised and regulated by the Financial Conduct Authority and is acting as a credit broker to offer our customers pay monthly options. With interest free credit over 12 months, you pay the same amount as if you paid for the boiler outright, but with the benefit of spreading the cost. Credit is subject to status with finance provided by Omni Capital Retail Finance Limited. Representative example is based on the standard installation price including VAT of an Ideal Logic Max C24 combi boiler with 10-year manufacturer's warranty, Ideal System Filter and ESi Wireless Programmable Room Thermostat. Upon receiving instructions that you would like to proceed with us and pay monthly, we will set up your credit application and send you the link by email to be completed online. When you have completed your credit application form, one of three outcomes will occur: you will have been accepted immediately, you will have been referred to the underwriting team for a decision or you will have been declined. Credit application accepted: Upon a successful application we will confirm an installation date with you. On satisfactory completion of the boiler installation you will be asked to pay a 10% deposit which can be paid online with credit or debit card, via bank transfer, cash or cheque. Your first monthly payment will be due 30 days after the boiler has been installed. Credit application referred to underwriting team: A decision should be made within a few minutes, however during busy periods or if the application is completed between the hours of 8pm and 8am it may take longer, however you should get a response by the next working day. You may also be asked to provide further information such as proof of identity, details of which will be emailed to you. Credit application declined: Unfortunately we cannot offer you pay monthly options. You have access to the internet and have a valid email address as the credit application is completed entirely online. You understand the credit application can only be completed by one applicant. You are able to make a minimum deposit of 10% which is payable on completion of the boiler installation. If you pay online the name and address on the debit or credit card must match the name and address on the credit agreement and direct debit mandate. You may be asked for proof of identity; accepted forms of proof are a current picture card full driving licence or a passport. You are 18 or over, and a permanent UK resident able to supply UK address history for the last 3 years. You have a gross annual income each year of more than £5,000 and a bank or building society account with a Direct Debit facility. You must be able to afford the monthly repayments. You are not currently bankrupt, subject to an Individual Voluntary Agreement (IVA), or have any County Court Judgements (CCJs). You understand that upon completion of the credit application form, a search will be conducted with the credit reference agency of your credit file and that this includes the use of both public data and shared data. There is adequate water pressure and flow rate for the combi boiler to operate correctly. The boiler is installed in the same location. Pipework does not run behind the boiler. We are able to fit the Ideal System Filter below the boiler. Upgrading of the gas pipework is not necessary. We are able to use the existing flue hole and it is suitable for a standard horizontal flue with no extensions. Access to the outside of the building where the flue terminates is easily accessible and is suitable for flue termination under current regulations. There is suitable access to a waste pipe that can house a connection for the condensate pipe from the boiler. We are able to use the existing electrical fused spur to power the boiler. Existing wiring is safe and adheres to regulations. What if my installation is not standard? Do not worry if your installation is not standard, we carry out free no obligation quotations for all prospective customers, we will visit your property and assess what work is required. We will then issue you with a fixed price quotation. With Boilers Direct you will be visited by a qualified and experienced gas engineer, not a salesperson. Trust Boilers Direct to expertly install your new boiler conforming to Building Regulations and manufacturer's instructions. Boilers Direct take pride in the service we provide and guarantee every member of our team is polite and respectful of you and your home. We are professional and work to high standards. Our installation work is backed by a 12-month warranty for your peace of mind. All installations are registered with the manufacturer to ensure your warranty does not lapse and with the Gas Safe Register. On completion, you will receive a warranty certificate and a Building Regulations Compliance Certificate (you will need this if you ever decide to sell your property). We adhere and uphold the values set down in the Which? Trusted trader Code of Conduct. We arrive on time in one of our sign written vans and in uniform. We aim to make you feel comfortable, carrying out our work with integrity, to a high standard. We lay poly-backed dust sheets to protect your property and wear overshoes to protect carpets. We leave your home tidy, using our own vacuum cleaner where required. We demonstrate and explain to you in full how to use your boiler and heating controls. We have several customer reviews which provide an insight into the level of service we provide. ERS. Gas Fitting Operative in Safe Gas Work (Natural Gas): CCN1 CENWAT CKR1 CPA1 HTR1. ERS. Gas Fitting Operative in Safe Gas Work (LPG): CPA1 CONGLPG1LAV CONGLPG1PD CONGLPGRPH HTRLP2. CITB. Advanced Combi Boiler Fault Finding. CITB. Energy Efficiency Domestic Heating. BPEC. Level A Full Scope Fixed Electrical Work in Dwellings. BPEC. Unvented Hot Water Storage Systems. BPEC. Water Supply (Water Fittings) Regulations. BPEC/Logic. Solar Domestic Hot Water Heating. BPEC. Installation of Above Ground Sanitary Pipework and Rainwater Systems in Domestic Properties. City & Guilds. Level 2 in Basic Plumbing Studies. ERS. Gas Fitting Operative in Safe Gas Work (Natural Gas): GGFO D1. City & Guilds. Level 3 in Electrical Installations BS7671:2008 (2015). City & Guilds. Level 3 in Building Regs for Electrical Installations. BPEC. Domestic Hot Water Storage Systems. University Of Hull. B.A (Hons) 2:1 in Business Management. 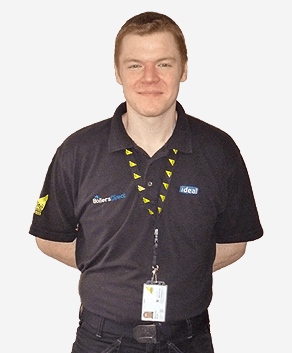 Boiler repairs are highly skilled, and should only be carried out by Gas Safe engineers. So if you are experiencing problems with your boiler or central heating, trust Boilers Direct to help. We are very experienced and fully equipped to identify problematic components on boilers. We are also very proficient at fault finding on central heating systems where pumps and motorised valves are external to the boiler. Over the years we have replaced many boiler parts from circuit boards to pressure relief valves, we have also replaced countless pumps, motorised valves, programmers and thermostats. Boilers Direct are qualified to service boilers from all makes and models. We charge £72.00 inc VAT, our boiler services include a gas tightness test and flue gas analysis, we also strip and clean boilers, clean condensate traps and magnetic sludge filters where required. It is recommended boilers should be serviced annually with most manufacturer's warranties becoming void if this schedule is not adhered to. We endeavour to remind all our customers when their boiler service is due, we also stamp and annotate service manuals, providing an accurate record of boiler maintenance. Fantastic - would definitely recommend. We have just had a new boiler fitted by Matt and Jon. What can say " FANTASTIC". From start to finish very professional and clean. I would definitely recommend using Boilers Direct to anyone. Reasonably priced - cannot fault them. Excellent service. Reasonably priced. After being let down by other gas engineers I am pleased I found these guys and will be using them for all our gas related and plumbing works. Cannot fault them. Thank you ! Very professional - excellent job, big thumbs up. Boilers Direct fitted a new combi boiler for us, they removed the old boiler, storage tank and water header tank in the loft. 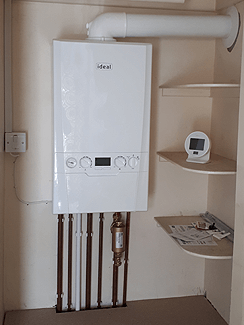 Both Jon and Matthew were very professional in the way they carried out their work and they kept us informed of what they were doing as they progressed, I would not hesitate to recommend them if you need a boiler fitting. We were very pleased with the end result, excellent job, big thumbs up. Boiler service. Our first time with Boilers Direct, quite apprehensive since we had been with our previous person for many years. The service was excellent. He arrived on time, was pleasant, polite, quick & efficient. He carried out the work in a professional manner & left us feeling very confident.